What if you wish to spend this favorite weekday with your colleagues or buddies? Then go for the tapas route, where you can enjoy the best cuisines in the neighborhood in small bites. The culture of eating tapas in Spain is very rich and there are many things that you should know before picking the right tapas bar. 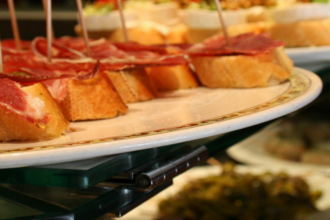 Read our guide to tapas dining and find out everything about this essential part of Spanish cuisine.